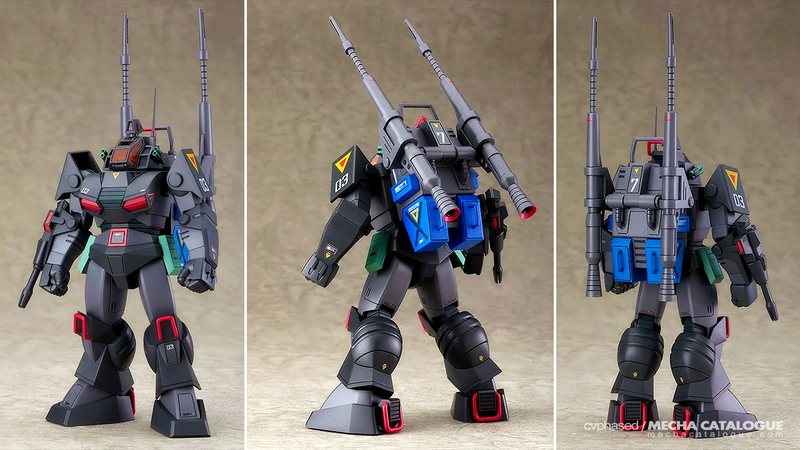 I totally missed when this was announced, but the Combat Armors MAX line of model kits from Dougram still continues and they’ve now ventured into the territory of design variations with the release of this kit. This is the Dougram [Anti-Aircraft Pack Mounted Type] and this is essentially the same Dougram kit way back when the line started with the Anti-Aircraft Pack. Aside from this, the other obvious difference is the darker color scheme, referred to in-universe as low visibility colors. The rest are the same as the first Dougram kit — including moving and static open/closed canopies, as well as the Turbo Pack, Linear Cannon and Missile Pod that came with the original. If Bandai Spirits were to sell this, it would’ve been a Premium Bandai online exclusive. Good thing Max Factory isn’t going that route.